Reena das Nair is a lead economist at Acacia Economics and is a Senior Researcher at the Centre for Competition, Regulation and Economic Development (CCRED) at the University of Johannesburg. 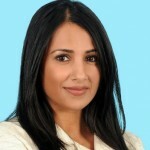 Prior to joining CCRED, Reena was Programme Manager: Industrial Policy at Trade and Industrial Policy Strategies (TIPS), a not-for-profit research organisation undertaking economic research for policy makers. Before TIPS, Reena worked as a Principal Economist in the Policy and Research division at the Competition Commission of South Africa. She has experience in undertaking investigations and economic analysis in mergers, abuse of dominance and cartel cases. She has also undertaken research in economic regulation, particularly in the energy sector. Reena has a MCom in economics and BCom (Hons) from the University of the Witwatersrand.